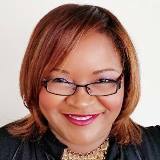 Shakira Segundo is the founder and CEO of Segundo Strategies, LLC, a firm that works with small to mid-sized businesses to enhance, fine-tune or restructure their strategic, operational and financial position. As former CFO and Interim Executive Director of The Washington Ballet and Business Manager/Director of Finance for Orlando Ballet, Shakira Segundo has spent the last twelve years serving the dance industry. Collectively, Segundo has over 17 years of experience in leading nonprofits and corporations through complex accounting, finance, operational and cultural restructuring. She holds master’s degrees in Accounting and Finance and her undergraduate degrees in Information Technology and Tourism management. Segundo has an extensive background in financial reporting, financial controls, information systems management, human resource management and regulatory compliance.